TODOS NA SEDE PARA TORCERMOS JUNTOS,CAMISA E ADESIVOS TAMBÉM A VENDA! TODOS NA SEDE,CONCENTRAÇÃO A PARTIR DAS 14:30 , TEREMOS CAMISAS E ADESIVOS A VENDA!! INDEPENDENTE OLÉ,SALVE O TRICOLOR PAULISTA!! 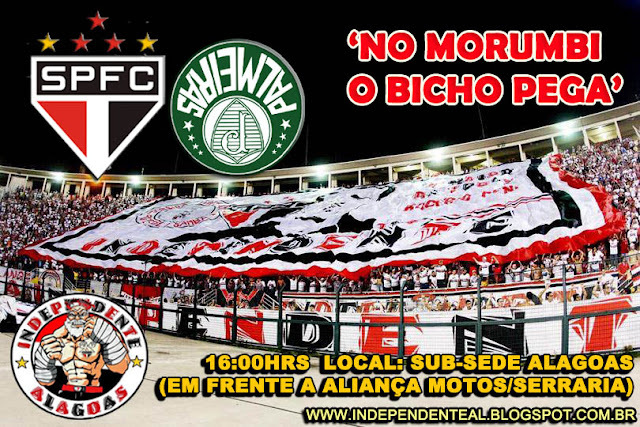 AMANHÃ TODOS NA SEDE,VAMOS PASSAR AQUELA ENERGIA POSITIVA AO MAIOR DO MUNDO,AVANTE AO NOSSO SOBERANO,CONVIDE OS GUERREIROS(AS) E COMPAREÇAM!! TODOS NA SEDE PARA TORCERMOS JUNTOS!! QUINTA-FEIRA , CONVOCAÇÃO GERAL !! COMPAREÇAM NA SEDE E VAMOS TORCER JUNTOS,CONCENTRAÇÃO A PARTIR DAS 19:00HRS, AVANTE MEU TRICOLOR! !